The villains of the upcoming horror sequel get their own posters. After scoring a surprise hit with last year's shark thriller 47 Metres Down, director Johannes Roberts now gives us a belated sequel to the 2008 horror movie The Strangers. 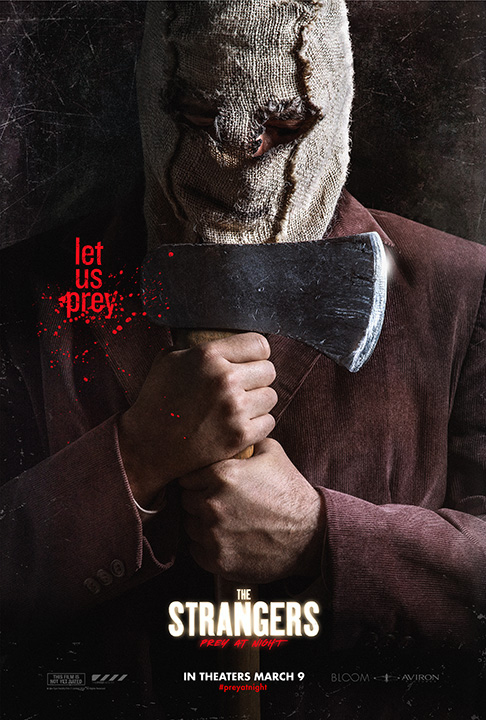 The Strangers: Prey at Night stars Christina Hendricks, Martin Henderson, Bailee Madison and Lewis Pullman as a family are menaced by the three masked killers of the first film. Said killers are profiled on their own character posters (for the film's March US release) below. 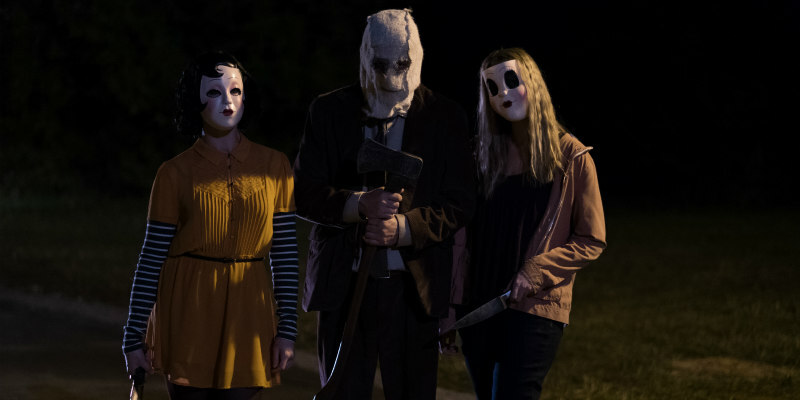 The Strangers: Prey at Night is in UK cinemas May 4th.